Content Marketing at your fingertips. 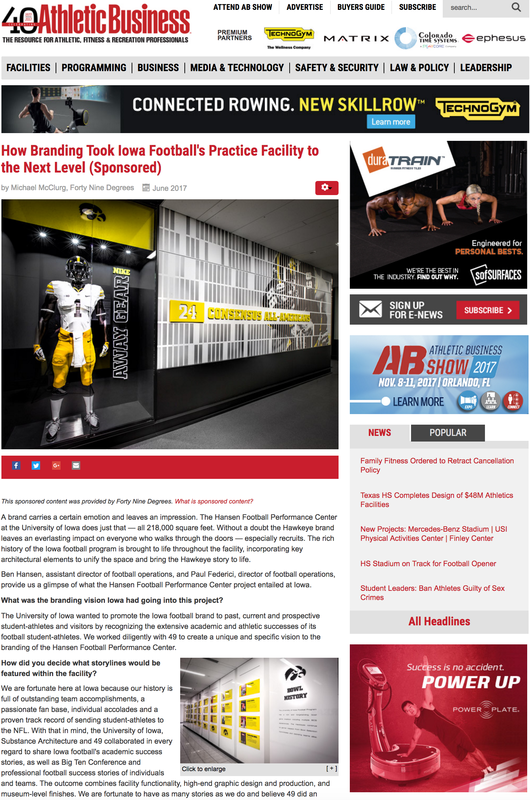 Want to see your company featured in the pages of Athletic Business? Position your company as an expert in the industry and leverage the power and trend of content marketing – all with Athletic Business. Sponsored Content is a sure way to separate your brand from the competition by engaging with prospects in a deeper and more educational format. Quality Sponsored Content starts with the audience in mind first, not your sales pitch. Effective content educates and informs the reader while only subtly (if at all) referencing your brand. Some companies decide to hire freelance journalists to write sponsored content, ensuring the article is of sound journalistic quality.